The Canary Islands are the last known stronghold of one of the world’s most critically endangered sharks: the angel shark (Squatina squatina). A male angel shark rests on the ocean bottom at Lanzarote, one of the Canary Islands in the Atlantic Ocean. These masters of disguise can reach lengths of 2.5 metres. The Canary Islands, off the coast of Spain, are the last known stronghold of one of the world’s most critically endangered sharks. The angel shark, once prolific throughout Europe, is now extinct across most of its historical range. However, in the Canaries, a beautiful archipelago of seven volcanic islands in the Atlantic Ocean, the species continues to thrive. Local researchers have found, in addition to an apparently healthy adult population, a critical nursery site for the unusual-looking animals. Las Teresitas beach is located only 15 minutes away from the capital, Santa Cruz, on Tenerife Island. This artificial beach, created in the 1970s with white sand from the Sahara, is very popular with tourists. It is also the largest known pupping area for the rarest shark species in Europe. During the day, beach-goers laze in the shallows and drink cocktails under umbrellas while the angel sharks lie buried in the sand. At night, scores of hungry little sharks emerge into water that is less than half a metre deep – and Eva Meyers and her team are ready to tag them. 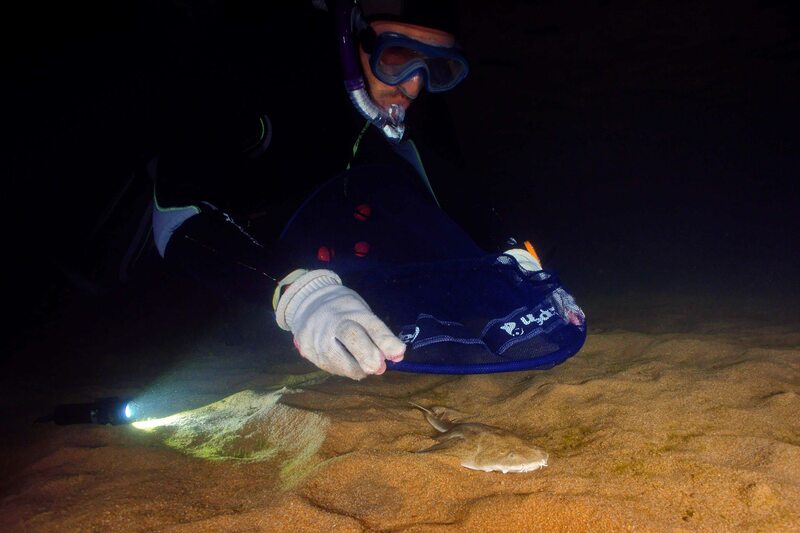 Meyers, a student from the Zoological Research Museum Alexander Koenig and the University of Las Palmas de Gran Canaria, leads the Angel Shark Project. It aims to secure a future for the sharks in the Canary Islands by means of conventional research as well as by engaging communities through citizen science. The sharks are a major attraction for the local diving industry and the islands represent what may be our last opportunity to gain basic ecological knowledge about these muppet-like elasmobranchs. Although rumoured to be tasty, angel sharks are not targeted by commercial fisheries. The large, flat sharks spend most of their time lying stationary on the ocean floor, a practice that has led to their demise because it makes them vulnerable to becoming by-catch in trawl nets. This has been aggravated by the sharks’ sensitive biology, which results in very slow recovery when populations are depleted. The artificial beach of Las Teresitas on Tenerife was identified as a nursery habitat for Angelsharks. 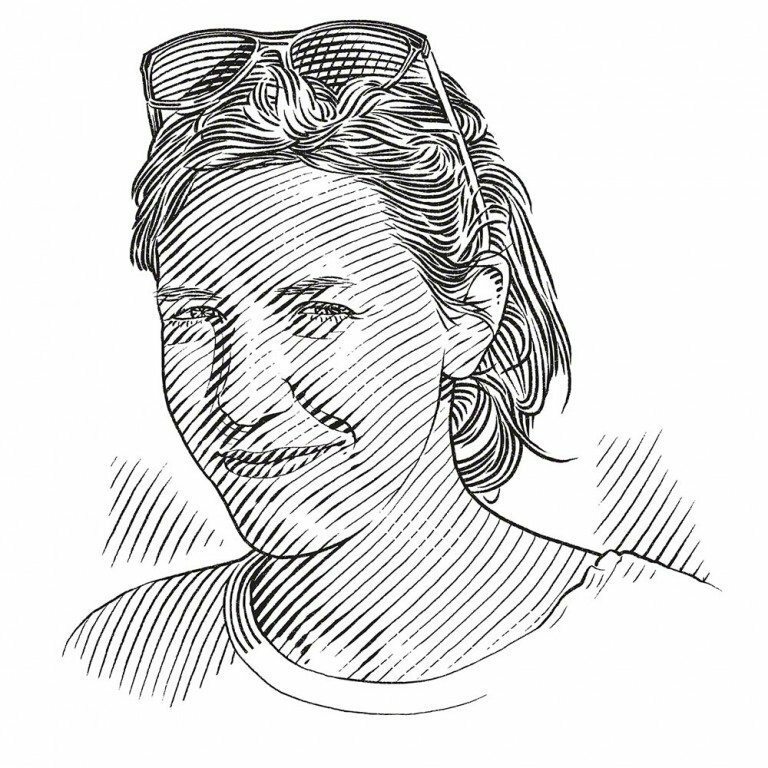 Eva Meyers and the Angel Shark Project team are studying this unexpected and unlikely area. Identifying and protecting key habitats is critical to secure the future of the Angelshark population in the Canary Islands. The island of Gran Canaria in the Canary Islands presents several locations where subadult and adult Angelsharks can be found easily. Eva Meyers and the Angel Shark Project team dive these sites regularly to tag, measure and biopsy these Critically Endangered Sharks.